The Queen is coming to New York—and the buzz is already building. 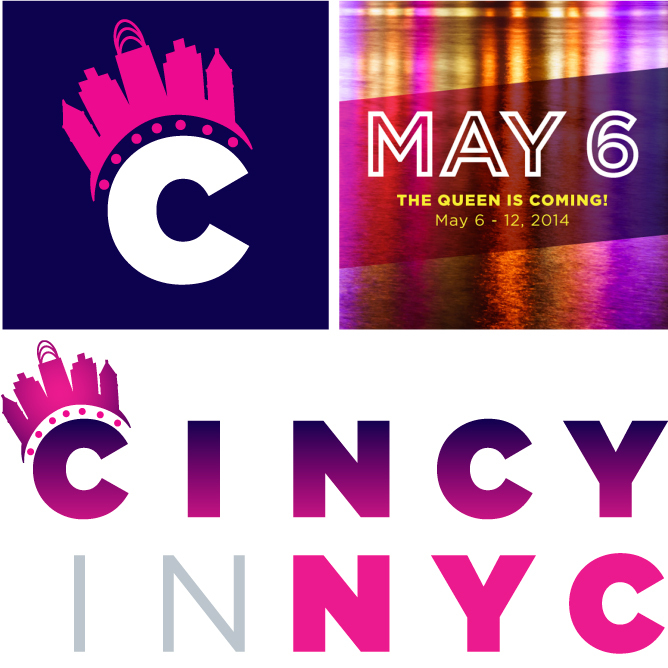 The Queen and her entourage are storming Manhattan May 6–12 to strut their artistic stuff. To prep The Queen for her Cincy In NYC debut, LPK gave her a makeover worthy of her modern-day “it girl” appeal. Enter The Queen. With a name like that, you’d expect her to have a distinct look and personality, which she does. But she also has some quirks and contradictions. It’s all part of her charm. 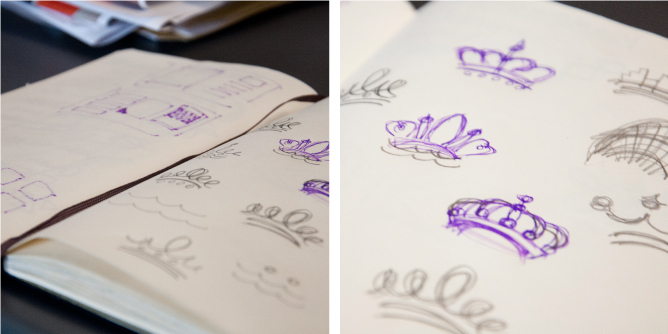 “The ‘Queen City’ nickname, which actually dates back to the 1800s, and Cincinnati’s historical characterization as the ‘Crown Jewel of the West’ were the foundation for the visual identity,” says LPK Senior Designer Meredith Post. 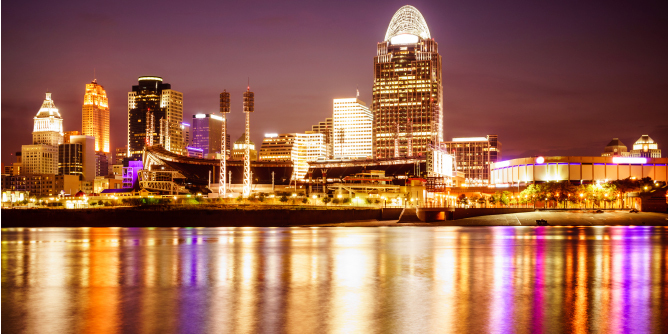 “We also pulled some of our inspiration from the iconic image of the Cincinnati skyline and its reflection in the Ohio River at night,” says Post. The jewel-tone color palette and faceted angles help bring that visual expression to life. And the tilted crown gives a nod to The Queen’s Midwestern charm and approachability—she doesn’t take herself too seriously. The verbal expression rounds out the brand and delivers interesting Cincinnati scenes to fully dimensionalize The Queen’s modern-day “it girl” identity, from her physical appearance (She’s got curves in all the right places. Her hills are something to behold.) to her style and personality (She hangs with a sophisticated crowd. But she’s also known to have a beer or two.). Have you met The Queen? Don’t miss your chance to catch a glimpse of her and her fabulous friends. Already met? Take this opportunity to reconnect and get to know her better. For more information, visit cincyinnyc.com.